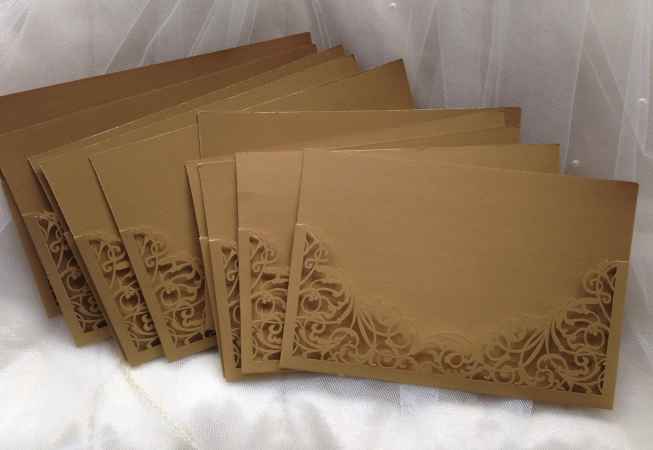 Gold Laser Cut Pockets – DIY wedding invitations. 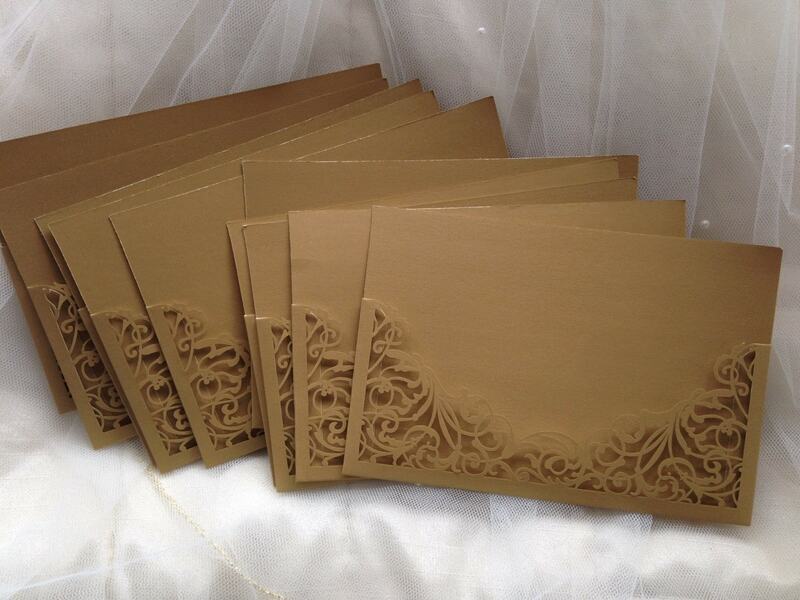 These beautiful laser cut pockets are the perfect choice to wow your guests! The gold pockets have a shiny pearlescent finish and the intricate laser cutting gives the impression of delicate lace. 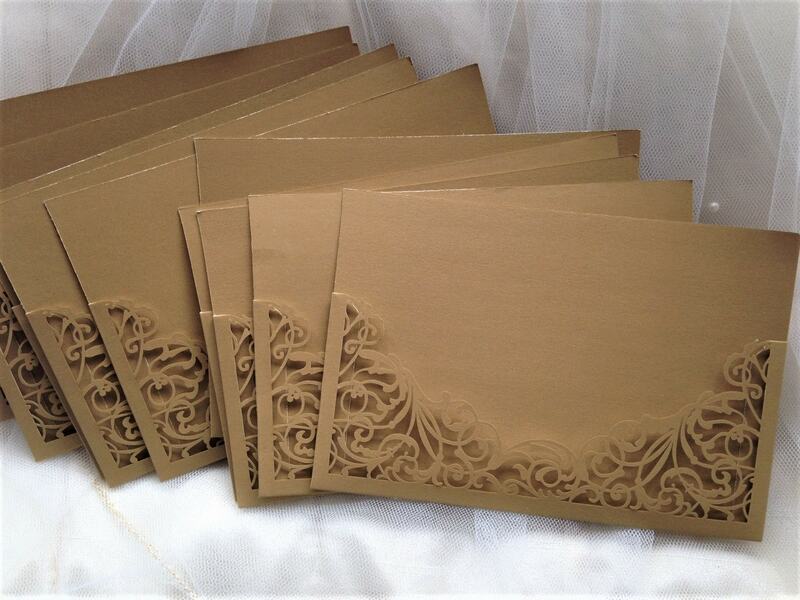 If like these but would like us to make them, take a look at our competitive prices for the Gold Laser Cut Pocket Wedding Invitations.